...but it's just not the same. I've kept my eye open for this tool in surplus stores stocking dental tools, but I've still been unable to find another one. 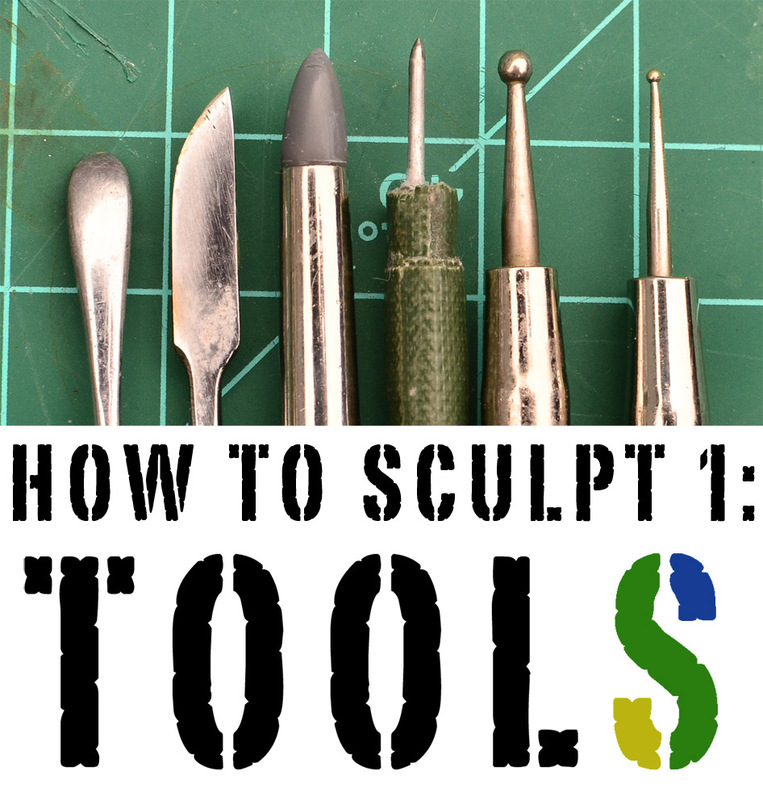 Though these are the tools I rely on, the reality is that you can sculpt with anything. I once heard a story of someone whose favourite sculpting tool was a Howling Banshee power sword. Over the years, Hydra has gifted me several tools that were everyday household items taped to the end of old paintbrushes. For example, he uses two nails, filed down to different levels, in a way very similar to how I use my ball burnishers. He also fond of making his Tyranids even gribblier by giving them multiple eyes, and one time he brought me an empty pen casing because it's flared-out end was the perfect thing for stamping these eyes. As I result, I now collect the ends of pens and pencils in different diameters for stamping things like eyes. Another thing to know about sculpting tools is that you should always be on the lookout for your next favourite tool. Upon his most recent visit to Canada, Hydra was preaching the wonders of the silicon/rubber clay shapers. He was so taken with them, and so adamant that I should use them, that when he left the country, he left behind one of his shapers, and it has very quickly become one of my favourite tools. The soft, smooth end of the tool makes it perfect for sculpting fleshy bits on the Haemonculus Coven Grotesques and Wracks as you can slowly work in indentations without leaving any sharp lines from a metal tool. The shaper is also great for smoothing areas as it is part firm and part pliant, meaning no annoying lines or marks like you sometimes get from metal tools. In fact, I'm not even sure that is a GW sculpting tool. It may be a much cheaper version of the same tool that I procured from a sculpture supply place here in Toronto. The GW tool is a good tool, so if you've already got one, that's great; however, I just wanted to demonstrate that you can get all 12 of those tools online for about the same price as the single GW one. The metal work on them is a little rough, but not in a way that is going to significantly mar your sculpting. ...and it shouldn't run you much more than $30US. Which, I think, pretty much sums things up as far as tools are concerned. I hope this has been useful, and if there is anything I did not cover in enough detail or something you have questions about, please feel free to ask. In my next "How to Sculpt Miniatures" article, I'm planning to focus on the materials: things like epoxies or polymer clays and how to get the most out of them/make them last longer and respond better to your influence. Mr Pink, I'd like to pick your brain; why is it more fun to model (sculpt) than it is to paint? Anonymous, that's a damn good question, and I'm not sure I have a suitable response. I'm a passable painter, but it has never gotten me as excited as the creation of wholly new creatures/ideas. That being said, painting and I have sort of rekindled our flame of late, so I'd like to get some more of my Nids painted up if I find the time. Long story short, to each his own. I love modeling/sculpting more than painting, but Moloch, for example, is bigger into painting than modeling, I believe. As for Vaseline, I don't use it myself, but I know what you're getting at, and I'll definitely be touching on that in my next article. The tool I use the most is the ball point thingy, followed by the dentist pick looking things. I still need to expand my arsenal so I shall look for some of those tools mentioned here. Like I said, KrewL, the cheapest place to get a set of tools is, likely, eBay. From your description of the tools you uses, it sounds like you're hurting for a broad, flat tool for spreading putty around (like the spoon on I use, which you should be able to find a clone of in cheapo wax carving kits like the one I showed). These are excellent posts Lord Pink! I've started to get into sculpting a little more recently with the dawn of my Ad-Mech army, and I wish I'd done so sooner. I'd really started to get 40k fatigue, but the creation of my own, unique models has really put a boot up my backside again! Thanks for the tips on some of these tools; so far everything I've done has been using the GW tool, a wedge shaped clay shaper (amazing for cloth) and a pot of Nivea hand cream. Oh, and recently a severed pen end for stamping lenses. I will now be looking to purchase myself a proper tool set. Dusty! I'm elated to hear that these articles have inspired you out of your 40K fatigue. I can certainly empathize with the idea that models you converted yourself are more motivating. I don't supposed you'd be willing to post a photo of your amazing-for-cloth, wedge clay shaper. Egads! I had no idea I'd damaged my desk so much. I started using clay shapers recently myself. As far as I'm concerned those bad boys are worth their weight in gold. Most of the issues I had with green stuff sculpting dissapeared when I picked up my first wedge shaped one. The things I can do with the other shapes I've picked up since are just icing on the cake! They are pretty damn hot, Outremer. I actually need to find more time to do more sculpting so I can endeavour to get even more out of them. I'll grumble more about the fact that I haven't visited enough to notice these How To Sculpt articles before now. Sincere apologies! They're very well written, displayed and explained. I did a lot of nodding along as I read them. Would you mind if I added them to the lists at Mini Sculpture? There's a surgical instrument called a Freer elevator. I'm pretty sure your favorite instrument is a Freer elevator. We use them to "elevate" finger nails for removal. However, if you've found one, and it's working for you, then more power to you! Nice video! 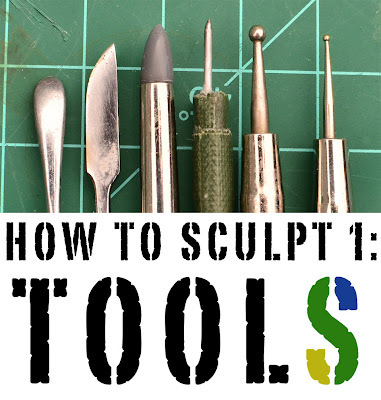 And this post is very helpful and thank you for explaining the use of each sculpture supply tools, looking for next video. Thank you for sharing. I'm so happy.